Listen to what I am about to tell you: do not read this book alone. You really shouldn’t. 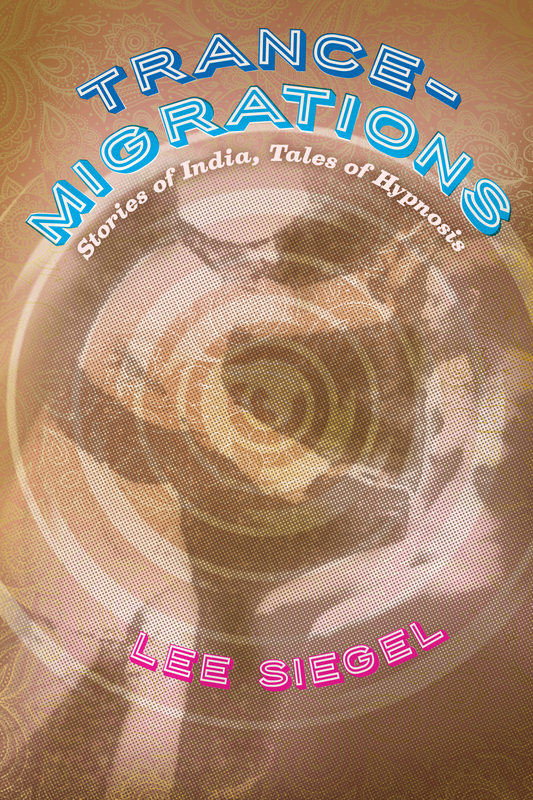 In one of the most playful experiments ever put between two covers, every other section of Trance-Migrations prescribes that you read its incantatory tales out loud to a lover, friend, or confidant, in order to hypnotize in preparation for Lee Siegel’s exploration of an enchanting India. To read and hear this book is to experience a particular kind of relationship, and that’s precisely the point: hypnosis, the book will demonstrate, is an essential aspect of our most significant relationships, an inherent dimension of love, religion, medicine, politics, and literature, a fundamental dynamic between lover and beloved, deity and votary, physician and patient, ruler and subject, and, indeed, reader and listener. Even if you can’t read this with a partner—and I stress that you certainly ought to—you will still be in rich company. There is Shambaraswami, an itinerant magician, hypnotist, and storyteller to whom villagers turn for spells that will bring them wealth or love; José-Custodio de Faria, a Goan priest hypnotizing young and beautiful women in nineteenth-century Parisian salons; James Esdaile, a Scottish physician for the East India Company in Calcutta, experimenting on abject Bengalis with mesmerism as a surgical anesthetic; and Lee Siegel, a writer traveling in India to learn all that he can about hypnosis, yoga, past life regressions, colonialism, orientalism, magic spells, and, above all, the power of story. And then there is you: descending through these histories—these tales within tales, trances within trances, dreams within dreams—toward a place where the distinctions between reverie and reality dissolve. Here the world within the book and that in which the book is read come startlingly together. It’s one of the most creative works we have ever published, a dazzling combination of literary prowess, scholarly erudition, and psychological exploration—all tempered by warm humor and a sharp wit. It is informing, entertaining, and, above all, mesmerizing.